Train No. 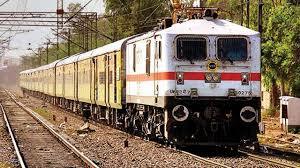 09011 Bandra Terminus – Bikaner (Weekly) Special train on Special fare will leave Bandra Terminus at 11.15 hrs every Wednesday and will reach Bikaner on the next day (Thursday) at 9.25 hrs. This train will run from 6th December to 27th December, 2017. Similarly, Train No. 09012 Bikaner – Bandra Terminus (Weekly) Special train on Special fare will leave Bikaner at 14.50 hrs every Thursday and will reach Bandra Terminus on the next day (Friday) at 12.45 hrs. This train will run from 7th December to 28th December, 2017. Route: The train will halt at Borivali, Vapi, Surat, Bharuch, Vadodara, Anand, Nadiad, Ahmedabad, Mehsana Jn., Palanpur, Abu Road, Falna, Marwar Jn., Pali Marwar, Jodhpur, Merta Road, Nagaur and Nokha stations in both directions. Booking for train No. 09011 Bandra Terminus – Bikaner (Weekly) Special train on Special fare will be opened from 3rd December, 2017 at all Passenger Reservation Centres and on IRCTC website.